Brighton College offers students the opportunity to develop professional skills that are recognized and needed in the workplace. Our students come from a variety of backgrounds and bring with them a wealth of multicultural experience. There are over 30 programs to choose from at our two campus locations in Burnaby and Surrey. Brighton College is a designated institution of Private Training Institutions Branch and has also earned BC Education Quality Assurance designation, assuring all our programs and instruction meet standards of quality. The Private Training Institutions Branch (PTIB) of the Ministry of Advanced Education administers the Private Training Act and associated regulations. 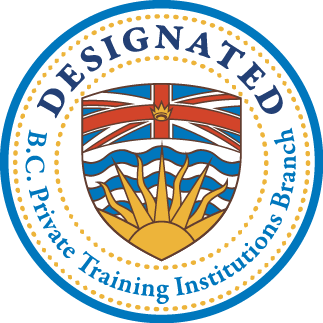 It provides students and the public with information on the regulatory requirements for private training in B.C. BC’s Education Quality Assurance (EQA) designation is Canada’s first and only provincial brand of quality for post-secondary education. EQA provides one standard provincial seal that can be recognized globally as a symbol of quality education and consumer protection. FITT develops international business programs, sets competency standards, and designs the certification and accreditation programs for the Certified International Trade Professional (CITP) designation. The Canadian International Freight Forwarders Association provides you with the opportunity to rank yourself as a true professional in the international trade industry. Technologists, technicians and technical specialists achieve professional recognition through the Applied Science Technologists and Technicians of BC (ASTTBC). The CPA’s Certification Programs offer individuals interested in beginning a career in payroll the professional certifications that can help them succeed in today’s competitive business environment. Sage 50 Accounting (formerly Simply Accounting) is easy-to-use accounting and business management software that provides you with the tools you need to manage your financial transactions and to streamline your business tasks. The BC Career Colleges Association was established in 1977 to promote and support post-secondary schools, stakeholders, students and all interested parties involved in private post-secondary education and training in BC. A globally recognized stamp of approval which showcases knowledge of the latest AdWords tools and best practice techniques and enables you to effectively manage AdWords campaigns. This software allows designers, drafters, and engineers to create 3D CAD models. With the Autodesk Design suite drafters can fully explore their designs prior to the actual build process taking place. At Brighton College, education goes far beyond the walls of the classroom. 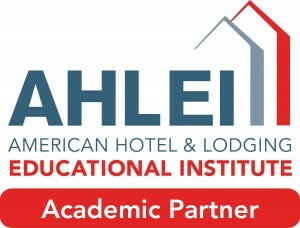 We believe that learning comes from doing; most of our programs involve a practicum or co-op component that gives students an opportunity to put their academic skills to the test in a real-world environment. Nearing graduation, we provide ongoing career assistance to students through our Career Development Services department that offers informational career resources and one-on-one assistance in developing job search strategies and connecting students with a large network of potential employers that will help jump-start their careers.